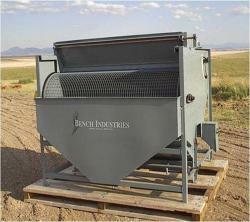 Bench Industries has been manufacturing quality separation equipment for over 25 years. We have developed a low cost high quality machine to remove trash & dust from products to prepare products for processing & storage. The aspirator system uses the technology from our air screen machine and has more CFM than any other machine on the market.